Stories from 2008, including national and local elections. Let's Turn UA Blue with Obama Signs! Guaranteed to annoy your Republican neighbors and friends, our signature "Another UA Citizen for Obama" yard signs are distinctive and eye-catching. Show your support for our President and plant one -- or two -- in your yard today! For only $5, stake out your piece of political discourse with our handsome Another UA Citizen for Obama yard signs from Upper Arlington Progressive Action! 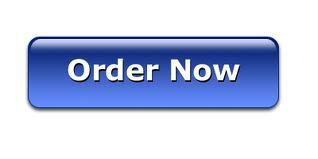 You can order safely and securely via PayPal or credit card on our website. Please note that sign deliveries are limited to the following zip codes: 43212, 43220 and 43221. Our wonderful “Sign People” may face challenges but they never give up. Sticky fingered political operatives of the conservative right may try to stop our public display of affection but we always prevail in supporting our President! If your sign is stolen or destroyed, we'll be happy to replace for FREE. What a deal! Be sure to order your sign today! 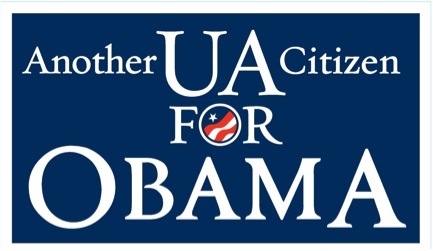 Read more about Let's Turn UA Blue with Obama Signs! Coming Soon to a Lawn Near You! What are you going to do about it?!? 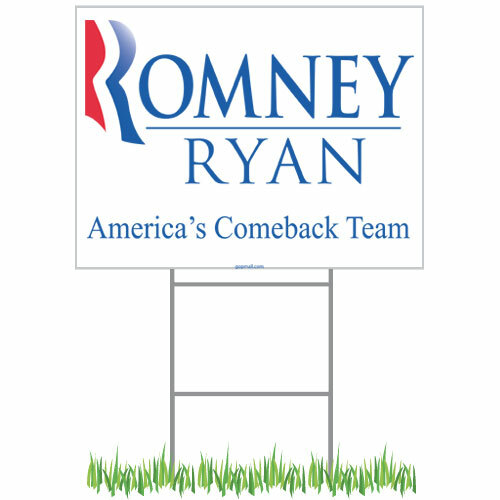 Get out your hammers and stake out your piece of political discourse with our signature UA for Obama yard signs from Upper Arlington Progressive Action! Our wonderful “Sign People” may face challenges but they never give up. Sticky fingered political operatives of the conservative right may try to stop our public display of affection but we always prevail in supporting our President! Read more about Coming Soon to a Lawn Near You! It's time to turn UA blue! In 1928, Republicans pledged “a chicken in every pot.” Ninety-some years later, the GOP has forgotten that many Americans not only don’t have a chicken, they don’t even have a pot to cook it in. Romney says he wants to get into the Oval Office so he can strengthen the middle class by reducing the debt and maintaining tax cuts. But trickle down economics have strengthened only the bank accounts of his millionaire pals, Wall Street traders, and special interest groups. And the rest of the 99% are suffering. Read more about It's time to turn UA blue! President Barack Obama will visit The Ohio State University campus on Saturday (5/5) where he will host a kick-off rally for his presidential campaign at the Jerome Schottenstein Center (Value City Arena). The event is free and open to the public. Tickets are not required, but RSVP’s are requested: https://my.barackobama.com/page/s/ohio-rally .